I like reading the Nielsen reports, like this recent finding describing what consumers are paying for online already -- or what they are willing to pay for when it comes to online content. Theatrical movies are something they have shelled out funds for -- and a lot more "would consider" buying online, along with games and music and other such products named in the study. Now when the movie studios realize that they should release their theatrical movie releases in the theaters and online at the same time, that will be awesome. But in the meantime, it's good for us online writers to understand how customers want a lot of stuff free -- 85% of the folks, Nielsen says -- and that they are a lot less willing to pay for user-generated videos and blogs and stuff. 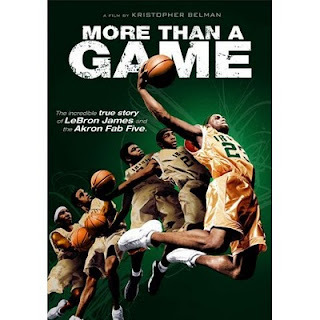 For those who run websites that pitch, for example, movies like the excellent LeBron James documentary called More Than A Game (which folks can watch online on Amazon.com) it's good info to have from Nielsen about what may and may not work. people do shed their money on watching movies online.